All contents & images on this site © 2016 Leventhorpe Vineyard No images may be used without permission. We are a long established vineyard situated in Leeds, founded in 1985, being the first to re-introduce commercial wine growing back into Yorkshire. Leventhorpe is an ideal site for wine growing and one of the very few vineyards that lie within a large city boundary anywhere in the world. From the beginning it has been our aim to produce excellent wines full of character. All the wines produced at Leventhorpe are made from grapes grown within the five acre vineyard in our purpose built winery. This enables us to control the wine-making process, thus preserving our wines’ unique character and identity. An excellent warm site, coupled with early ripening varieties has ensured reliable quality over the years. 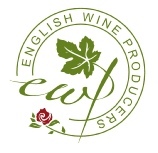 With over 30 years experience at Leventhorpe we produce a range of award winning wines - white, red and sparkling, both white and pink. Why not pay us a visit and take the opportunity to try some of our distinctive fine wines.